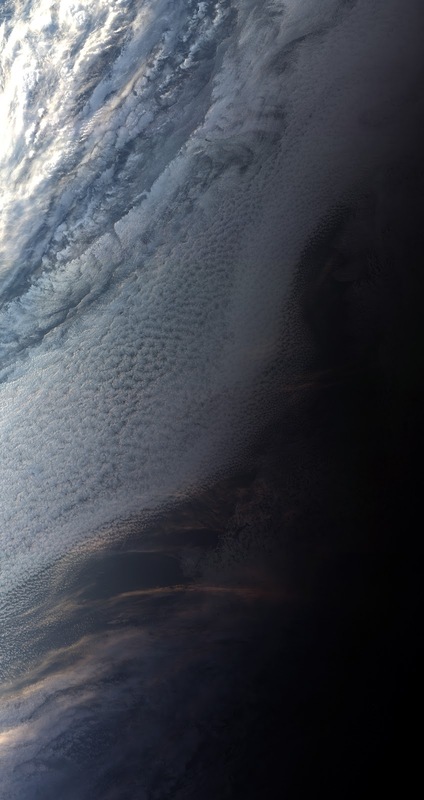 The very first sight captured by Europe's new Sentinel-3B satellite was the sunset over the Weddell Sea, just off the coast of Antarctica. The line between night and day is distinctly visible. As the sun sets, brighter streaks are seen glinting on the clouds. The image was taken at 10:33 UTC, Monday, May 7, 2018.